Don't Miss the Design Memory Craft Twitter Party!!! Join Faber-Castell’s Design Memory Craft team, Jenny from @CraftTestDummy and Christy from @ChristyNelson1 for a Twitter party Thursday, June 2, between 8:30 and 9:30 p.m. EST! We’ll talk color theory and the 101’s of the Design Memory Craft product line! *Be sure to follow @CraftTestDummy, @ChristyNelson1 and @DesignMemCraft prior to the party. *Join the fun! No one expects your tweets to be perfect; we're just glad you made it to the party! *Watch for questions from @ChristyNelson1 and @CraftTestDummy to WIN awesome prizes including various design kits & products from the Design Memory Craft line! *To join the party, you can use TweetGrid, TweetDeck or just search #dmc101 on Twitter. *Ask @DesignMemCraft questions or chat with other partygoers—just use the tag #dmc101 in all of your party tweets! *Please pay attention to the time zones, the party starts at 8:30pm EST. Here's a look at the supplies you will need to stamp and color the flower image on this card. Begin by coloring the stamp (Penny Black) using a Black Stamper's Big Brush Marker. Color leaves using May Green 170 Stamper's Big Brush Marker. Don't worry about going outside the lines, we will be cutting these images out. Color flower using Dark Naples Ochre184 Stamper's Big Brush Marker. Add darker shading directly on top of yellow using Scarlet Red 118 Stamper's Big Brush Marker. Work in small sections and blend ink with finger tip before dry. Color details using fine-tipped black PITT® Artist Pen. Cut out leaves and flowers. Adhere to card using dimensional adhesive. I hope you enjoyed today's tutorial and are inspired to color some bright summer flowers on your next project! 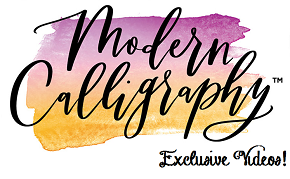 Guest Blogger Wendy Price: Stamper's Big Brush 9 Ways!!! Since it's a long weekend, thought we'd squeeze in some extra creativity this week with a Saturday post by guest blogger Wendy Price! Hi everyone! I'm Wendy Price from Paper, Ink and Smiles and I'm so excited to have the chance to be a guest blogger for Design Memory Craft today! I've been having a blast playing with the new Stamper's Big Brush and PITT® artist pens! They're perfect for stamping with and come in such gorgeous colors! When I sat down to create this layout, I really wanted to challenge myself to see how many different ways I could use the markers. Can you guess how many ways I used them? 1. I inked up my stamp (Geo Bubble cling by Stampendous) with the May Green and Light Cobalt Turquoise Stamper's Big Brush markers, spritzed it with water and stamped it onto the tags. 2. To create the splattered effect on the tags, I scribbled some Light Cobalt Turquoise onto a nonstick craft sheet and spritzed it with water. Next I picked up some of the watered down ink with a paintbrush and splattered it onto the tag. 3. To create the soft inked edges along the tag, I again scribbled the markers onto the craft sheet. I picked up some of the ink with a blending tool or sponge and inked up my edges. You'll need to work quickly before the ink dries, but it gives a soft pretty effect. 4. I colored white poinsetta petals with the May Green Stamper's Big Brush marker to create my leaves. While the ink was still damp, I ran the Light Cobalt Stamper's Big Brush marker along the edges. 5. Those Prima flowers were looking like they needed a little something, so I inked up my stamp again and stamped it onto the flowers. 6. I added a bit of color to the pearl flower centers with the Light Cobalt Stamper's Big Brush marker. 7. I painted the edges of glossy photo with gesso and allowed it to dry. Next I colored Light Cobalt along photo edges. The gesso allowed the marker to stick to the glossy photo surface. 8. Using the PITT® artist pens I added my journaling. 9. And finally, I colored in my white chipboard letters with the May Green Stamper's Big Brush marker to customize them to my layout. I hope I've inspired you to bring out your markers and play around with ways to use them! I'd love to see what fun new ways you find to use your markers! Colleen has outdone herself once again with this mixed media bracelet! Measure and cut to size 2 pieces raw canvas to fit around your wrist. Sew around the edge, add cotton ribbon to either end for fastening. Make a loop for a button at one end. Measure against your wrist; sew a button on the other end. Stamp with the PITT Big Brush pen and the rubber stamp. Add gold PITT pen highlights. Sew on the found elements, rhinestone trim, buttons and metal leaf charms. Wrap & fasten around your wrist, wear with style! Here's to a safe and happy holiday weekend! Get out there and do something fun. We'll be back on Tuesday with a new technique from Jill Foster. Don't Miss Tiffany's Live Demo! Tiffany Johnson will be doing a live Demo today at 2pm EST. Go to the Oh My Crafts Channel on Ustream to see her demo with Gelatos, Stamper's Big Brush and Art GRIP® Aquarelles! Oh My Crafts is also offering an Extra 20% off when you purchase Design Memory Crafs products today. Just use coupon code MDAY20. Mix & Match and Wear! Thought we'd end the week with some wearable art! This mixed media necklace was created by our very own Colleen McGinty! To make the leaves, stitch raw canvas leaf shapes and attach grommets. Gesso the leaf center, leaving the edges raw. Color in with Art GRIP® Aquarelle pencils and blend as desired. Accent the leaf colors with the PITT® Artist Pens. Stamp the scroll design using the Stamper's Big Brush pen and then sew on your button embellishments. To assemble your necklace, attach beads to the chain using jump rings. Use jump rings to secure your canvas leaves to the chain and you're all set to wear your handiwork! Have a great weekend! We'll be back on Tuesday with a new technique! Hello Friends! So excited to be here! My name is Christy Tomlinson and I am a mixed media artist, mostly painting whimsical art on canvas and other surfaces!! I am SUPER excited to be a guest here on the Faber-Castell blog because I LOVE these products! I love to paint on canvas, using all sorts of mediums so this was another fun product to incorporate into my art! I also love to teach on-line workshops and offer "Behind the Art" tutorials on my blog. I thought it would be fun to come on the blog and give you a little "tutorial" peek into how I use these products and why they make mixed media canvas art so seriously easy for just about anyone! One of my favorite things I love to create is "girls". I call them She Art Girls. I decided to create for YOU a peak into my process with a "Behind the Art" video tutorial on how to make one of these girls from start to finish using almost ONLY the Faber-Castell products! AND show you how easy and versatile the Faber-Castell Design Memory Craft products make it! I offer other "Behind the Art" tutorials on my blog and also two current online workshops! And if you looking for the ffabulous Faber Castell Design Memory Line products.. we carry a full range of them in our Mixed Media shop, Scarlet Lime! This coupon is good until May 30th (and you can use it as many times as you like!)" Jen Matott here again! This week, I thought I'd share a piece of artwork I made! I don't know about you, but I'm ready for warmer weather, sunny days, and flowers! In anticipation of spring, I just finished this piece using a white, large paper umbrella. I used Gelatoes for the drippy color that represents rain on a paper umbrella. Then, I sprayed white Prima flowers with my Gelato sprays. I glued LOTS of them to the umbrella and added some bling and punched paper butterflies. Here you can see the blue metallic, dark blue, and green Gelato colors that were blended and the slight shimmer of the metallic gelatos. I really love how it came out and will be displaying this in my art room at school! What a fun way to welcome Spring indoors. I wish you sunny, spring days ahead! I'll be back with a technique using the Art GRIP ® Aquarelle watercolor pencils!